›No comments yet. Be the first. 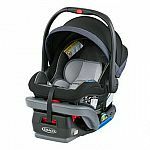 Graco has Up to 48% Off Select Models + Extra 20% Off Sitewide. Shipping is free on $50+.